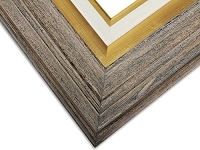 If you are looking for a Ready-Made Frames to showcase a work of art or a photograph then you won't go wrong with this stunning Plein Air frame. It will add a touch of sophistication to any room, and the simple black or dark espresso colors will work well with most types of decor. 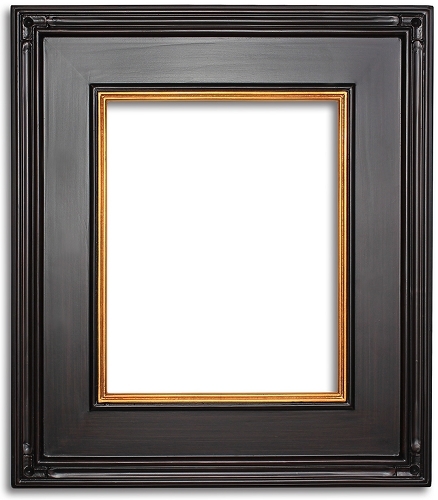 This frame also features a gold lip which gives it an elegant feel. 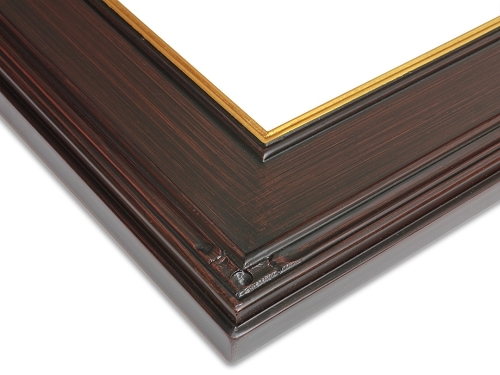 There is detailing in all four corners of the frame which helps to break up the solid color. 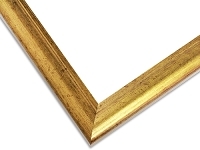 The frame border is measured at 3" wide, and it looks just as good sitting on a desk or shelf as it would hanging on the wall.